Is this love? Or a diabolical deception? On a cruise through exotic Mediterranean ports, Debra, a naïve, very beautiful and very wealthy young woman meets the man of her dreams. Paul is sophisticated and devilishly attractive. He charms her with wit and flattery, but what happens when the cruise is over? 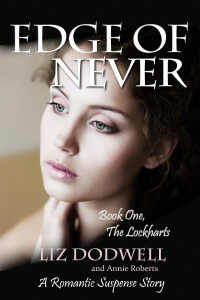 Edge of Never is a stylish, romantic suspense story, set on the elegant transatlantic ocean liner, Ocean Enchantment, and at the beautiful period home of the Lockhart family in rural Virginia. To tell any more would rob you of the pleasure of the story unfolding as you turn the pages.